Successfully Added Phone Watch IQI I4 - 1 IMEI, Bluetooth, Android OS, 3G, WiFi, Pedometer, Sedentary Reminder, Heart Rate Monitor, Quad-Core CPU to your Shopping Cart. The IQI I4 Plus is a sophisticated phone watch that lets you enjoy all the basic smartphone features straight from your wrist. It supports 1 IMEI number. Thanks to this, you’ll be able to make calls and send messages straight through your watch. Additionally, it features WiFi and 3G connectivity. This means that no matter where you’re at, this watch always allows you to browse the web. From now on, you’ll always be able to stay connected to friends and family even when you’ve left your traditional smartphone at home. This 3G watch phone brings along great convenience and efficiency. Besides that, it features a cool and futuristic look thanks to which you can wear it with confidence at any occasion. With its Android 5.1 OS, this watch phone brings along all the basic Android features. With access to the Play Store, you’ll even be able to download Applications. A Quad-Core processor and 1GB of RAM are in place to treat you to a smooth user experience. Additionally, it supports 16GB of internal storage that provides you with the memory needed to store your contact information and other files. 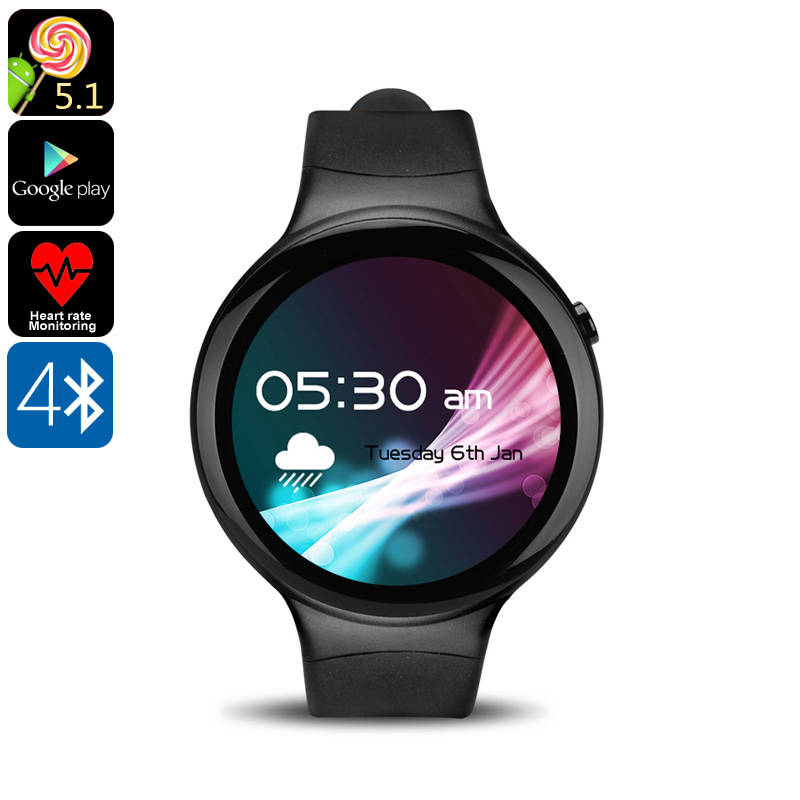 Thanks to its Bluetooth support, this smart watch can be paired with both iOS and Android smartphones to bring along even greater efficiency. Besides its basic phone features, this watch phone also comes packed with an abundance of health features. Hereby you can think about a pedometer, heart rate monitor, and sedentary reminder. With access to all these cool features, your sports watch will guide you through your upcoming workout sessions. Highly accurate and detailed exercise information will make sure that you’ll meet your future workout goals in absolutely no time. Thanks to its splash proof design, you can make use of this phone watch in any weather condition. It comes packed with a 350mAh battery, meaning that can enjoy all it has to offer throughout the day without needing to worry about battery life. This watch phone comes with a 12 months warranty, brought to you by the leader in electronic devices as well as wholesale electronic gadgets..